At the end of life we offer a service for everyone. From the moment you are in touch with us, throughout the funeral or thanksgiving service and for as long as you need us afterwards, we’re here for you. Anyone can have a Church of England funeral or thanksgiving service, whether churchgoers or not. When someone dies, we understand how difficult this can be. There’s so much to think about, but we can help you say your final goodbye in a way that really helps. We can support you, your family and friends before, during and after the funeral with friendship and prayer, understanding your sadness and loss. And in this difficult time we can share a message of comfort and hope. 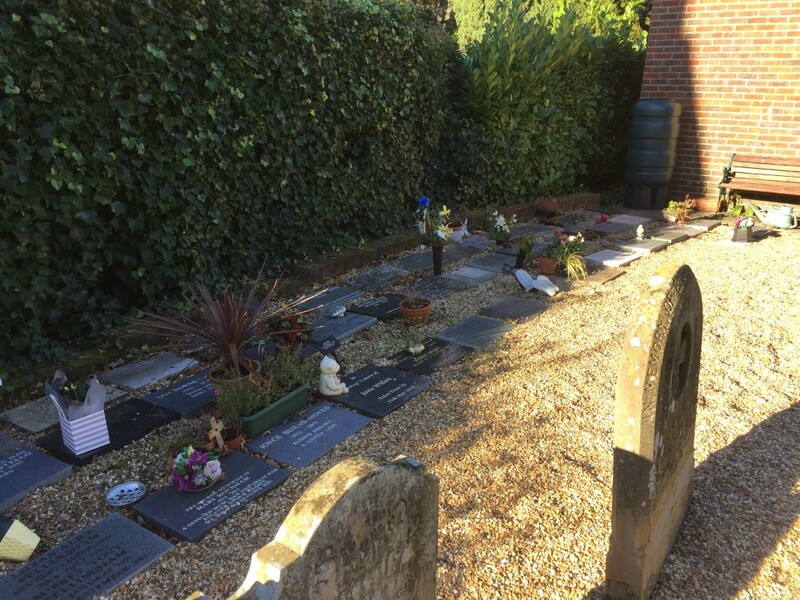 If you have had your loved one cremated, maybe at Guildford Crematorium, after the service, when the time is right, you may need to place ashes in their final resting place. We have a short and dignified service for this and can offer guidance on choosing a stone plaque to mark the resting place in our Garden of Rest. For more information please follow this link. Once a year, usually on the last Sunday of October, we hold a ‘Service of Light’ for all who wish to remember a loved one. The names of those who have died over the previous twelve months are read and there is an opportunity for all to light a candle in memory. Please contact the The Rector if you would like to know more about the end of life care we offer at St. Mary’s.